Church and convent around 1920. 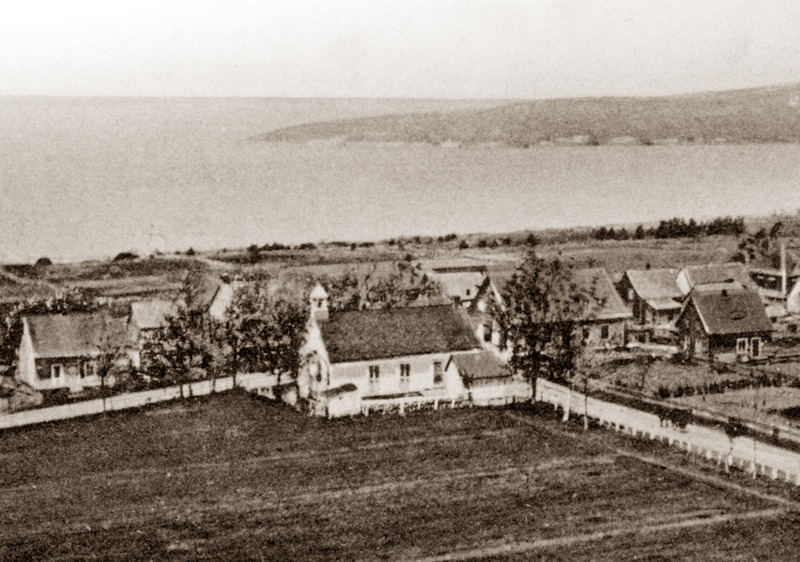 On August 29, 1857, the steemship May Flower stopped at Rivière-du-Loup to let off Sister Mallet, founder of the Sisters of Charity in Quebec City, and five of her companions to found a school where girls could receive a good education. The Convent’s fiftieth anniversary in 1907. 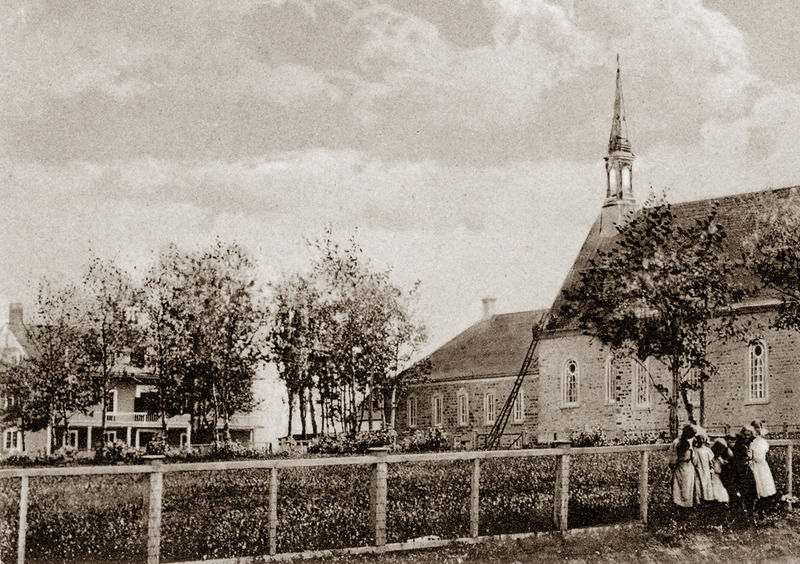 Built with the help of Chanoine J. Cléophas Cloutier, Cacouna’s parish priest, who had called on the generosity of his parishioners, the convent had an addition built on to the east end in 1860, and other wings were addeded over the years to increase the number of classrooms. Around 1920, an additional story was built to accomodate more boarders. The old convent was torn down in 1983 to make way for the present Vents-et-Marées elementary school. The model school and it’s small belfry, around 1930. 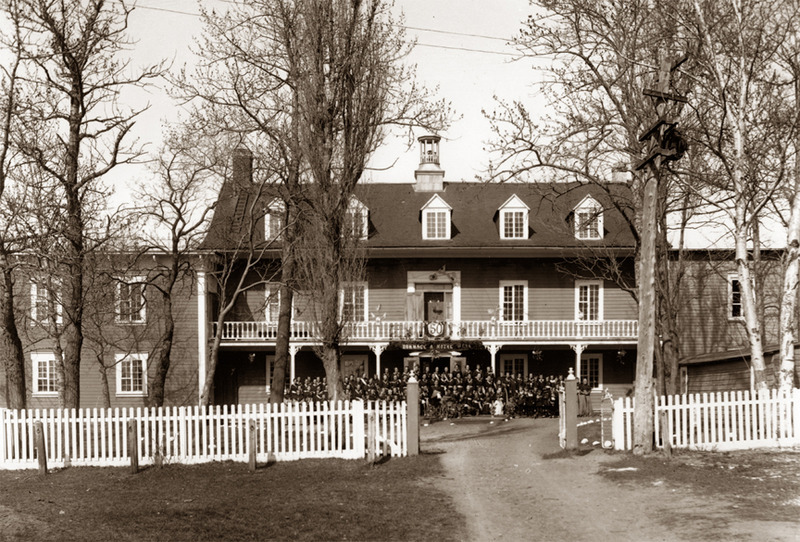 Since 1838, the children of the village had the opportunity of attending the model school. The boys continued to attend the model school until 1953, the year the Collège Saint-Georges, actual municipal building, erected not far from the convent, opened its doors.